Rita Mulcahy's PMP Exam Prep, 7th edition book is now available. The book has been updated for the PMP exam changes coming into effect from Aug 31, 2011. Has any one tried this one? how changes is this new book compared to the old one? Do we really require a book for the changes?? I think not. Since BOK has not changed new Rits's book at such a cost is not worth it. If you are going to buy one, then I would recommend buying the 7th edition. someone who has bought the new book, please let me know if there are really changes. I do not think we need this book just for the sake of RDS changes. But i do have 6th edition, its worth it. I will take the exam end of October. 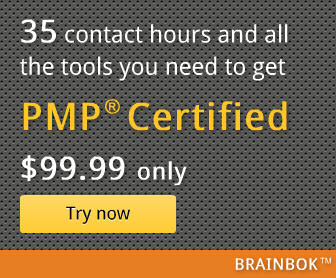 Has anyone appeared for PMP after the changes? What type of changes are seen, any inputs are welcome. Thanks. I have been an instructor for PMP preparation courses for some time now. I have reviewed every question in both the 6th edition and the 7th edition. I have found that the questions are identical to the 6th edition. The order is ever so slightly different in all but one chapter. One chapter in the 7th has re-ordered the same questions from the 6th edition. I found three questions (out of 400! )that were different between editions and none of the three coincided to the changes highlighted in the PMI Crosstalk notes. My recommendation: If buying new, buy the 7th. If buying used, get the cheapest. If you have the 6th, use it. Please comment if someone has made a different conclusion. Thanks Rob. This is really helpful. Thank you!!!! I just bought the 7th edition of Rita's book, but I have to wait for it, and I have the 6th, so I'll use that for now (sigh). The changed syllabus is difficult...I appeared on Monday - however cudnt clear...whereas in my mock test and all had topped the same..can anyone guide if rita - 7th edition will be useful..